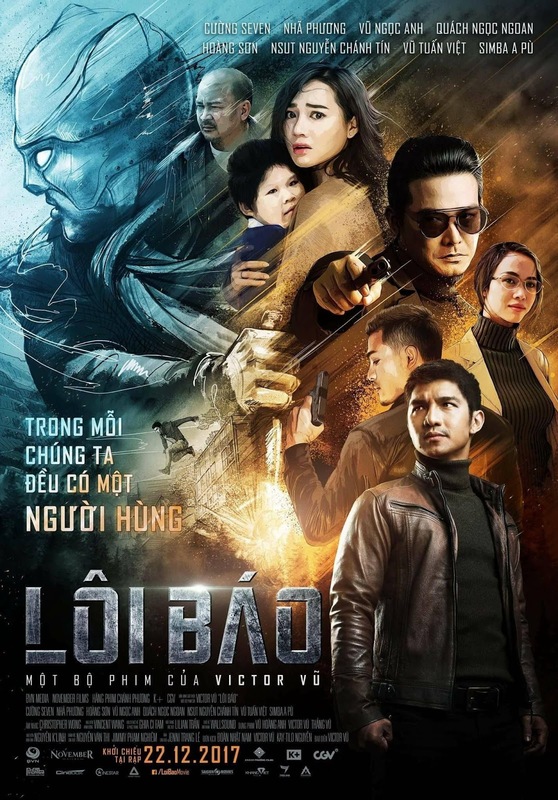 I don’t know if it’s a good thing or a bad thing but early in watching LOI BAO I suddenly realized that I knew who the director was. I did not remember his name (Victor Vu) but I remembered his style from films such as YELLOW FLOWERS ON GREEN GRASS and SWORD OF THE ASSASSIN. Realizing who it the director was kind of deflated me since I knew I was only going to like LOI BAO not love it. I was hoping to be wrong, but unfortunately I wasn’t. LOI BAO is the story of a comic book writer and artist who is working on the titled character, a super powered human with a look that is a cross between Batman and the Rocketeer. Sadly the writer has advanced cancer and is going to die. However with the help of a friend he undergoes a new process which turns him into a super powered human. Unfortunately the dark secrets relating to it comes calling and he has to find a way to become a real hero. Lots of talk mix with some decent action sequences to make a film that is more something you like more than love. Blame it on an okay script and Vu’s tendency to film the action sequences so they just sort of miss. The violent ballet looks cool but carries no weight. We really don’t get a sense of danger so we never are really invested. As for the script blame a lack of understanding about superheroics. Watching the film I had a sense that the writer didn’t really understand how these sort of stories work on their most basic level. Or maybe he only understood it on the most basic level but couldn’t create something more. While I wasn’t looking for something on the order of a Marvel film I would have liked something on the order of some of the short films I’ve seen over the last couple of years which tell similar story with a great economy. While not bad, it is more disappointing . For all my griping there is something here that makes the film worth seeing, especially if you’re at a festival such as Fantasia. I do like the film but I really wish I loved it like I love the look of the hero in full superhero regalia.